How can dance, design, and film change the way we see space? Our human imprint and the memory of our movement linger in spaces well after we have migrated through them. The 1 Mile Radius Project explores these imprints and the unique spaces of a community through resident interviews, site-specific movement research, and interactive design. The first iteration of this work took place in Mt. Rainier Maryland in the 1 mile radius surrounding Joe's Movement Emporium, which serves as a vital community and artistic hub to the area. This project was initially kicked off in spring of 2017 as part of a NEXTLOOK Artist residency by the Clarice Smith Performing Arts Center and Joe's Movement Emporium. Additional support was provided by Brentwood Arts Exchange, Maryland State Arts Council, and Maryland Parks & Recreation. The red markers on the map above lead you to QR CODES (as seen above). 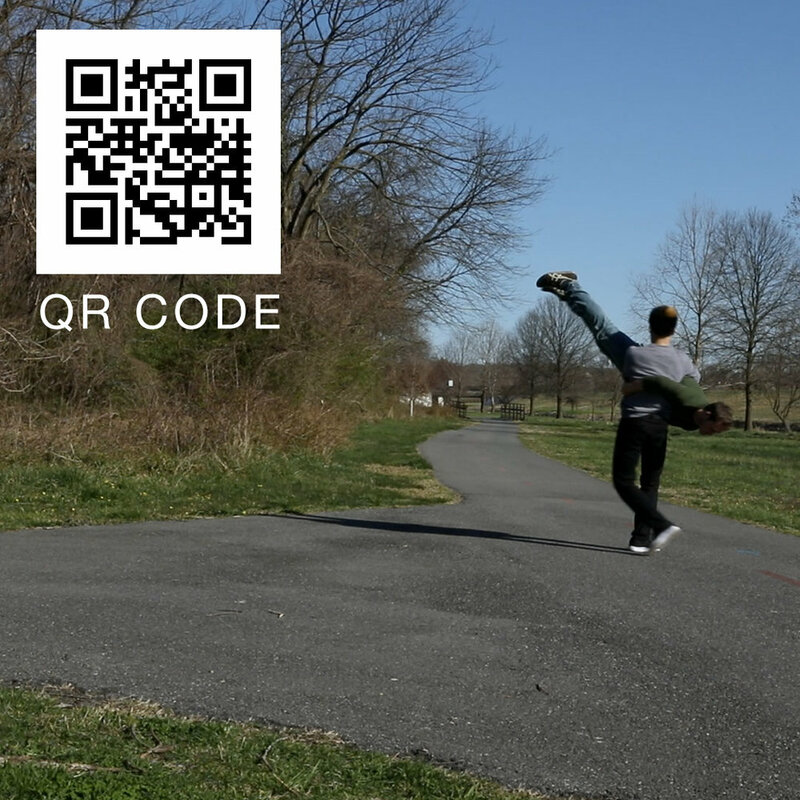 When you scan these codes using (QR APP) you will be taken to hidden websites and online content connected to the 1 MILE RADIUS PROJECT. Use this as a great way to explore new terrain or investigate the familiar spaces of your own backyard. Look for special 1MRP phones at key QR CODE locations. When you find a phone take a moment to dial in and hear music, sound, and interviews from within the 1 mile radius. If you dial the right number you can record your voice talking about your experience and we will add it to the content and archives of this years project.